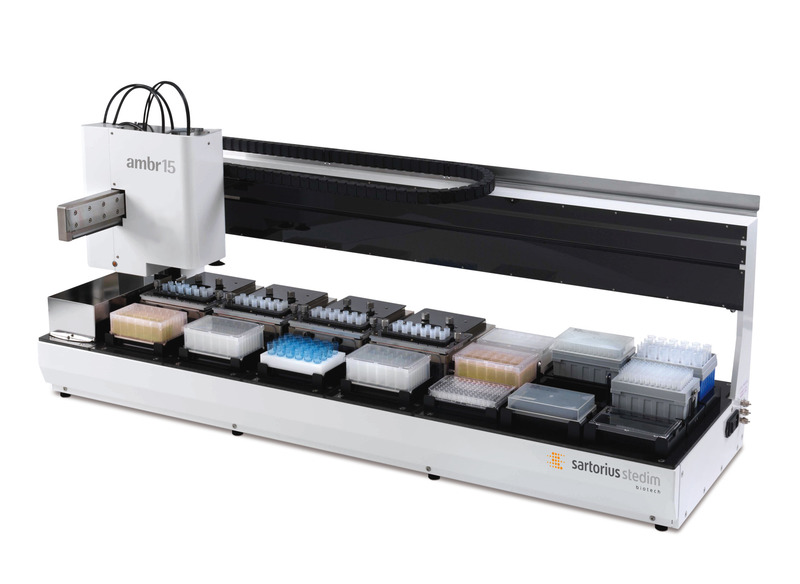 ambr® 15 cell culture is a high throughput, automated bioreactor system for 24 or 48 parallel cultivations in a cost-effective 10 –15 mL micro bioreactor format. The ambr® 15 cell culture system enables the rapid evaluation of multiple bioreactor cultures at microscale, increasing productivity in cell line development with significant savings on materials and labour. ambr® 15 has been proven by industry leaders to provide better scalability than a shake flask and has transformed cell line development in many leading biopharma companies worldwide. 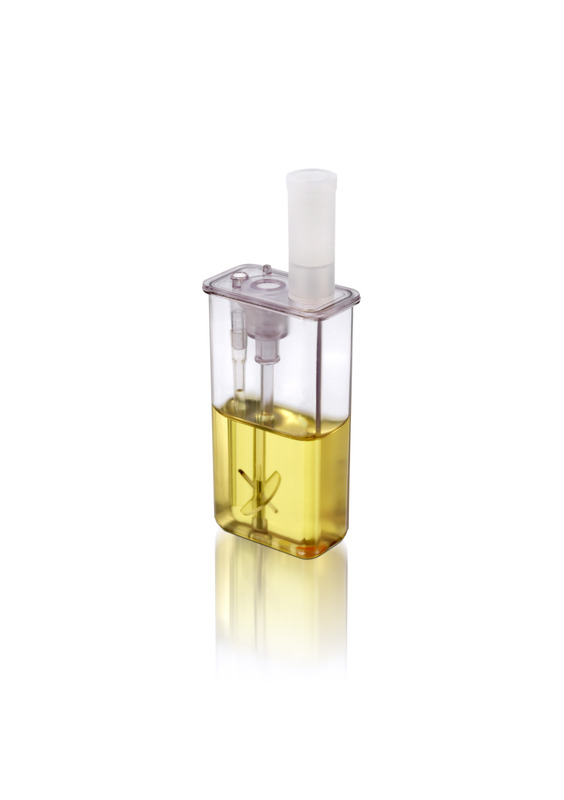 The core disposable micro bioreactor technology includes sensors, stirring impeller, gas sparging and sample port. The image shows the standard vessel, however several variations are available. ambr® 15 is compatible with many other analyzers. Contact us for further information.